Planning on marathoning your favorite Netflix shows this holiday season? The struggle to stay awake, particularly after all that celebratory feasting, is real. 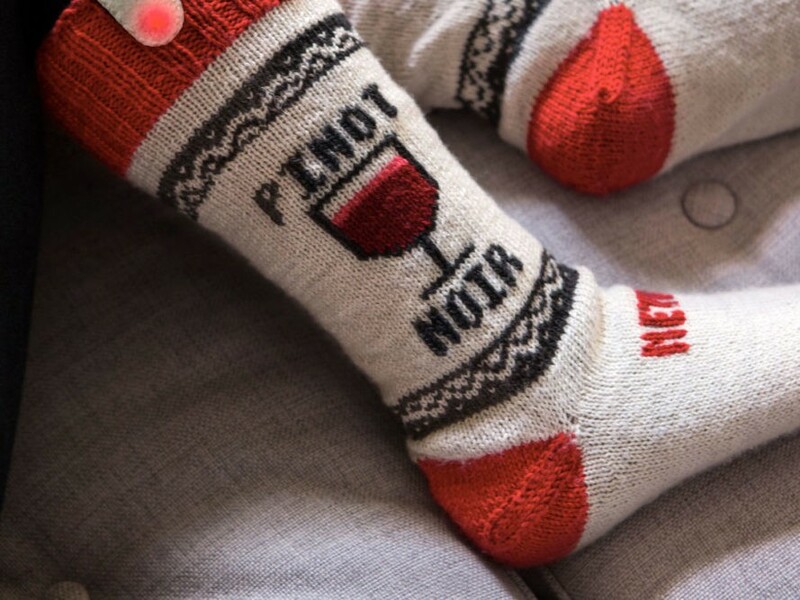 Before you settle in for the 13-hour binge-watch, the streaming service recommends knitting yourself—or someone you love—a pair of "smart" socks, ones that automatically pause button once the tryptophan kicks in. You'll need to be handy with intermediate-level electronics, however. Powered by an Arduino microcontroller, the socks rely on an accelerometer to detect when you've stopped moving for a certain period of time. An infrared LED emitter then sends a predetermined signal to the TV, whether it's pause, stop, or turning off the power. You’ll get a warning before that happens via an LED light in the cuff, which will flash red before the signal transmits. To continue watching your show uninterrupted, simply shift your foot. For greater snooze-sensing accuracy, Netflix also provides instructions for adding a pulse oximeter to detect changes in heart rate. You can embed these components into an existing pair of socks, of course, but there’s at least one benefit to making your own from scratch: The company offers several knitting patterns based on its original shows, including Orange is the New Black, House of Cards, and Unbreakable Kimmy Schmidt. And there’s no time like the present to pick up a new skill. We can think of worse ways to get through winter.